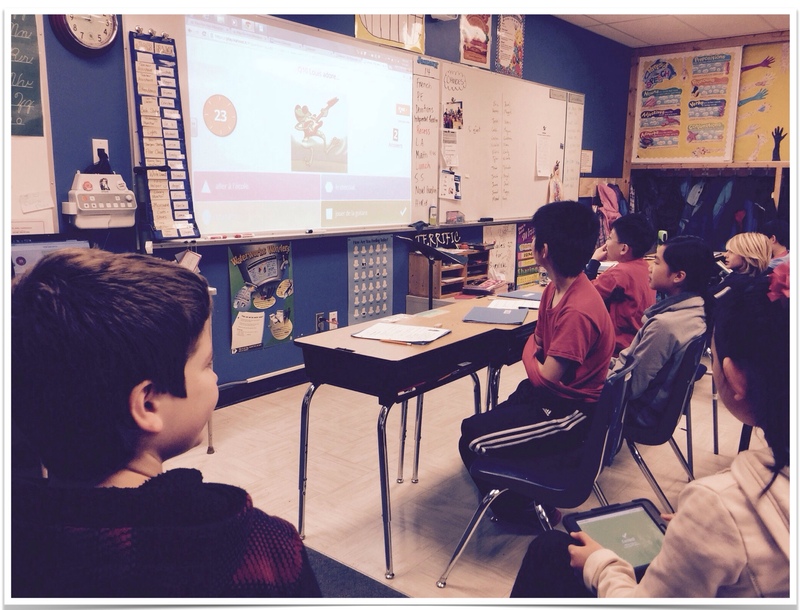 Kahoot is a educational tool that your students will love. It is not an “app” per se, however you can use basically any tablet or device or computer that is connected to a Wi-Fi network. Students will love to come competitive aspect to this tool. It is easy to use. It only takes a few minutes to become acquainted with it. 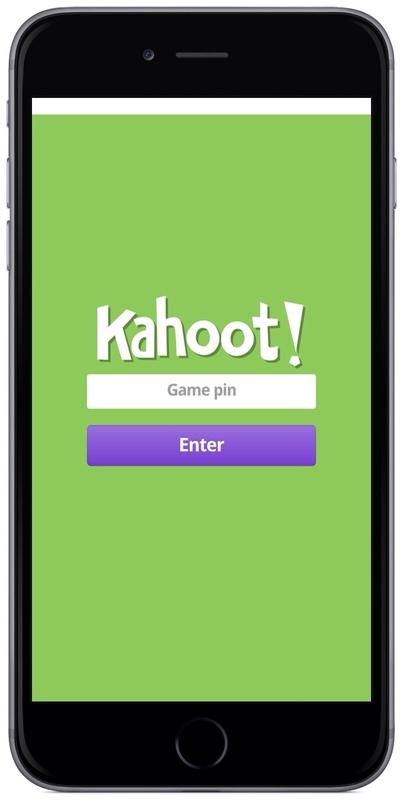 Kahoot is a free tool that all teachers who would like to review material in the fun and interactive way should use. Check out this post by my friend and fellow French teacher, Sylvia Duckworth. It has more information on Kahoot. She also created a very clear tutorial on how to begin using it. Registering for an account only takes one minute. When once you register, you can browse through hundreds of pre-made games, or spend a few minutes designing one yourself. Just now, I created three Kahoots off the top of my head within thirty minutes. Below: My fifth graders enjoying Kahoot for the first time. We played boys vs. girls using just two iPads. You do not necessarily have to have one device per person. You can just do teams of two, four, or eight. Either have people take turns going or work in groups to input the answers. I started this game with just two iPads. I formed two teams (usually boys vs. girls), and created a list on the board of players of equal abilities. The iPads were placed in the centre of the classroom, and students were told to be ready to go when it was their turn. If you play in groups, you may choose to let them help each other, or have just the one player try to answer on their own. It depends on the material, I guess. I told the students that I could bring in more iPads (up to 15) and they can play in pairs. This way, I can actually do some real assessment. What's great is that you can download a spreadsheet of the full results to use in assessing your student's knowledge. Search for all devices, such as iPod Touch, old iPads old laptops. This is a great way to reuse those older devices that have been sitting on the shelf. Kahoot also has a good FAQ section, and also a blog that updates us with new ways to use it. Below: You can see the question on the computer, and the possible answers on the iPhone. 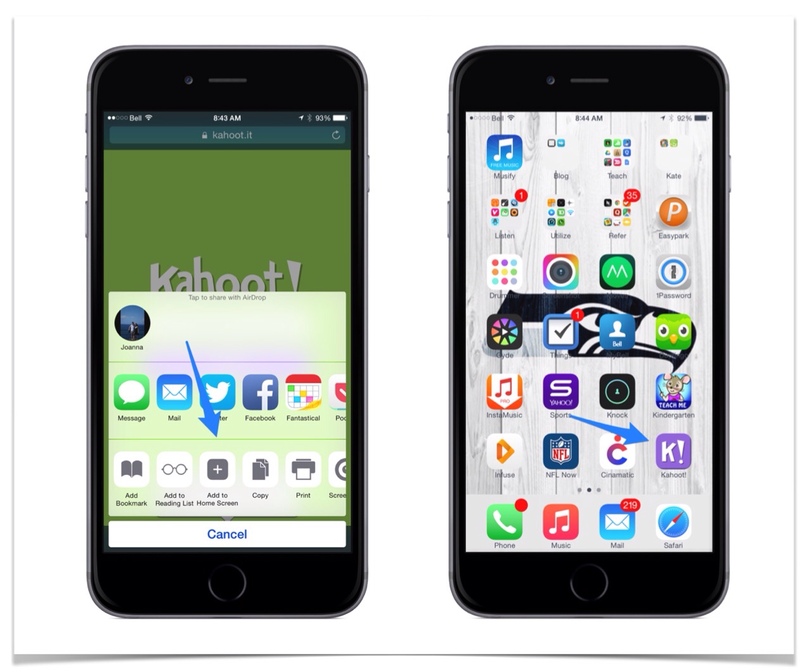 Add the kahoot.it website to each homescreen on your iPad. It makes it much easier to start a new Kahoot. Simply tap the share icon (box with the arrow), and you'll automatically open up the page where you need to enter the game pin. Now, whenever a new game begins, students just need to tap that icon. Kahoot is a fun, interactive, and great way to review material with your students. There are tons of possibilities that you can do. Find other teachers who teach similar curriculum, and use their Kahoots. Create your own and share with the rest of the Kahoot community. Your students will have so much fun, they won't realize that they're doing so much learning at the same time. 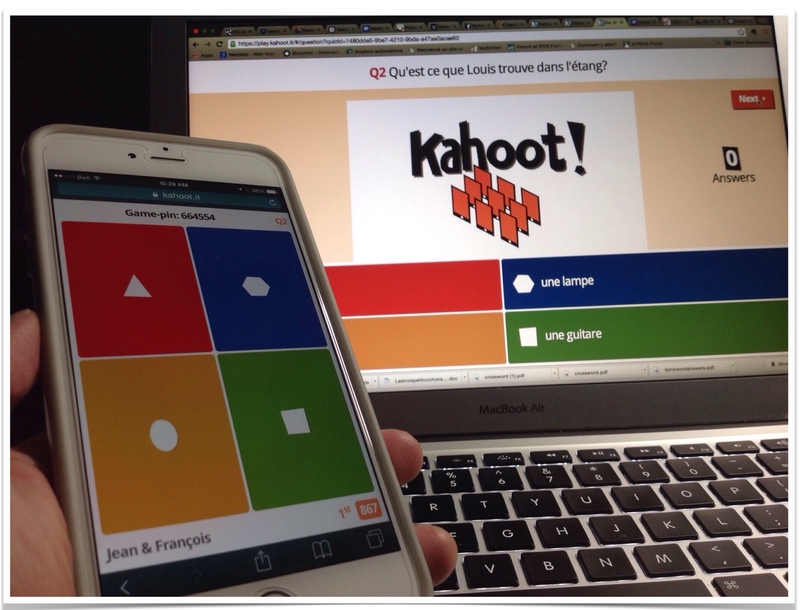 Kahoot is yet another great way to integrate the iPad in the classroom. I guarantee that both you and your students will love it. Have you tried Kahoot? What do you think? Do you students like it? Would love to hear from you in the comments! Previous Post Who’s Better at Figuring Out Song Lyrics, Humans or Machines? Next Post 2 Teachers have 9 Thoughts as iPad Turns 5! Do you know the difference between Kahoot and Socrative? Some teachers use Socrative in my school, and they’re really engaged with it. I’m Daniella from Kahoot!, and I’d just like to leap in to let you know more about how Kahoot! and Socrative compare. Socrative is more of a formal assessment system, whereas we believe we’re more than a response system, and we’re learner centric. We’ve never actually modelled ourselves on any of our perceived competitors. Our pedagogy is based on learning, gaming and behavioural models – designed to motivate participation (hence the screen at front thing). You need to find your own game pins from a teacher if you are not one. Is there a paid version of Kahoot for corporate use? I don’t think so. Best contact them. Currently our platform is totally free to sign up and use (and as it is, will always be free for educators!). However, if you have a specific business development or corporate request, please email our Support team at support@kahoot.it to so they can direct your enquiry. Wow. Thanks Kahoot for the lightning reply! Don’t know how you did that! Each game has its own pin. Find a teacher created game or create your own. hi I want to play kahoot !!!!!!!! 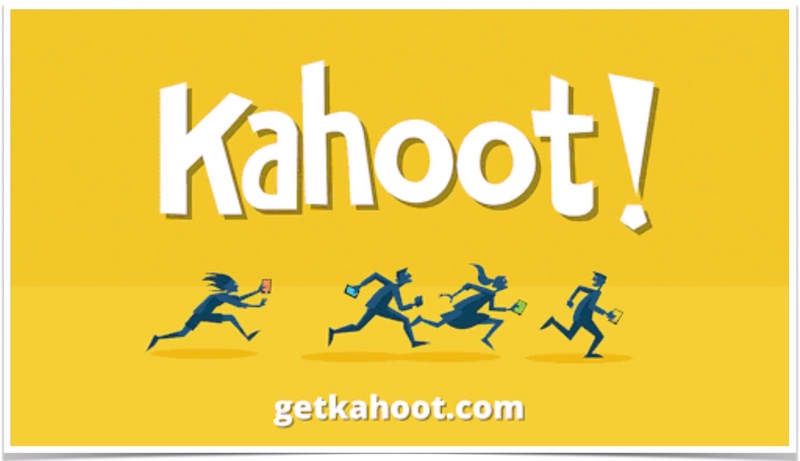 You can search for kahoots on the app. You no longer need two devices.